I have found the dry shampoo to top all others: Pronto Dry Shampoo Spray. I had to share. 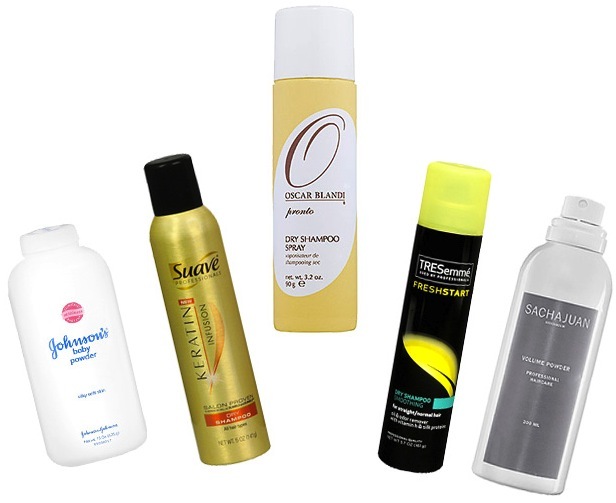 I have tried this trend ranging from attempting to put Baby Powder on my roots, to experimenting with the inexpensive brands (Suave and TRESemme), to trying out an expensive option (Sachajuan). To be honest, I didn't really love any of them. But, because I am no quitter, I kept going back for more. I tried the Oscar Blandi option, and I fell in love. I didn't like the Sachajuan volume powder because it made my hair really sticky. I wasn't crazy for the scent of the Suave or the TRESemme, and the baby powder was just a hot mess. With this Pronto dry shampoo, my hair isn't tacky at all and it smells fresh and delightful. I only wash my hair every other day, even when I go to the gym, and even when I sweat. (Ew.) My hair is very thick, and it takes a while before it looks greasy, but I still like to keep it smelling and feeling fresh, and this product does the trick. Give it a whirl.